A WEDDING SHOW LIKE NO OTHER... 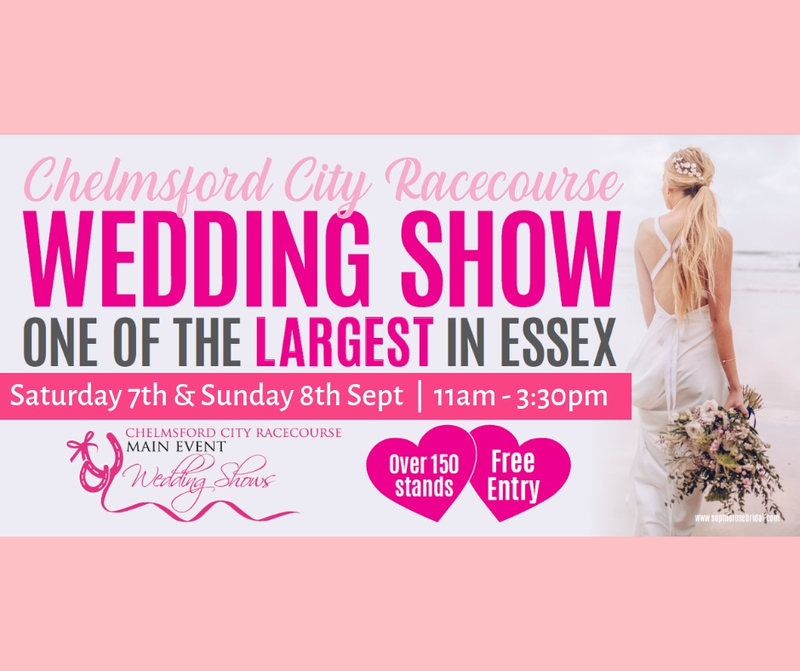 Introducing the NEWLY CREATED Chelmsford City Racecourse Wedding Show! The most exciting and largest wedding show in Essex with a wide range of suppliers and venues exhibiting from across Essex and surrounding counties. PRIZE GIVEAWAYS LIKE YOU HAVE NEVER SEEN BEFORE! KEEP YOUR EYES PEELED FOR NEW AND EXCLUSIVE OFFERS TO BE ANNOUNCED SOON. PRE-REGISTER USING THE FORM ON THE RIGHT TO FIND OUT MORE OF WHAT IS COMING UP!